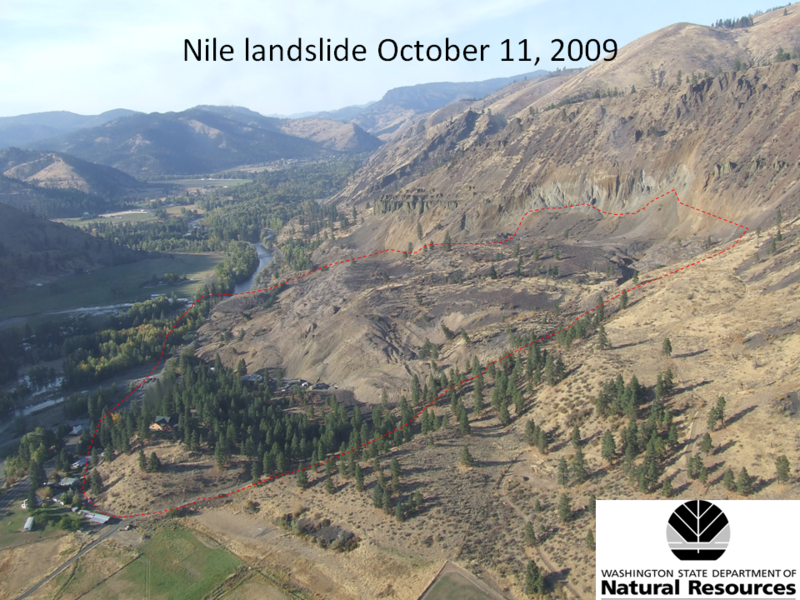 Ice in the Nile Landslide? 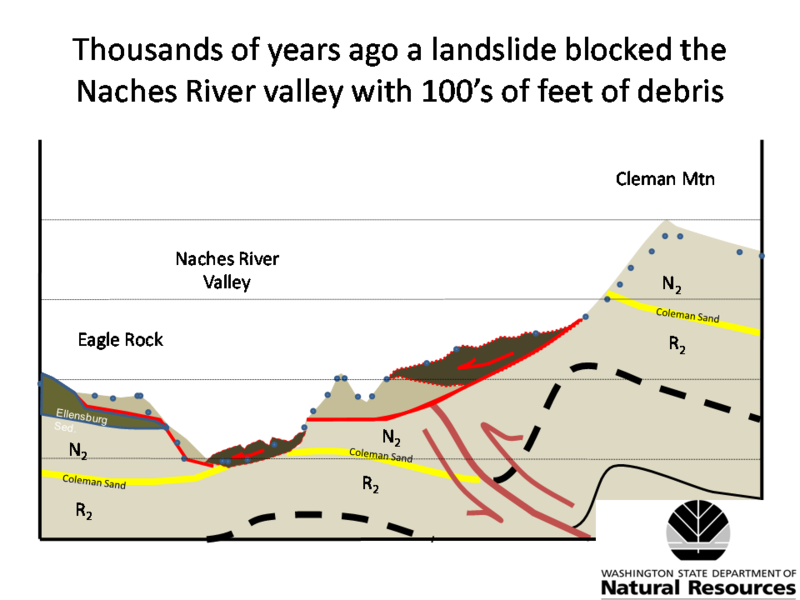 To get it out of the way, the ice probably didn’t play much, if any role in the landslide failure. 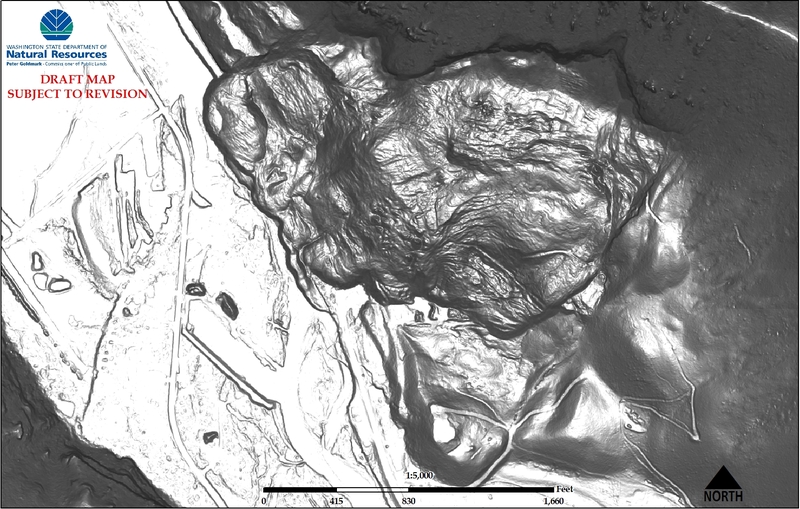 It is probably a product of the talus, which in Eastern Washington can sometimes form ice cores. 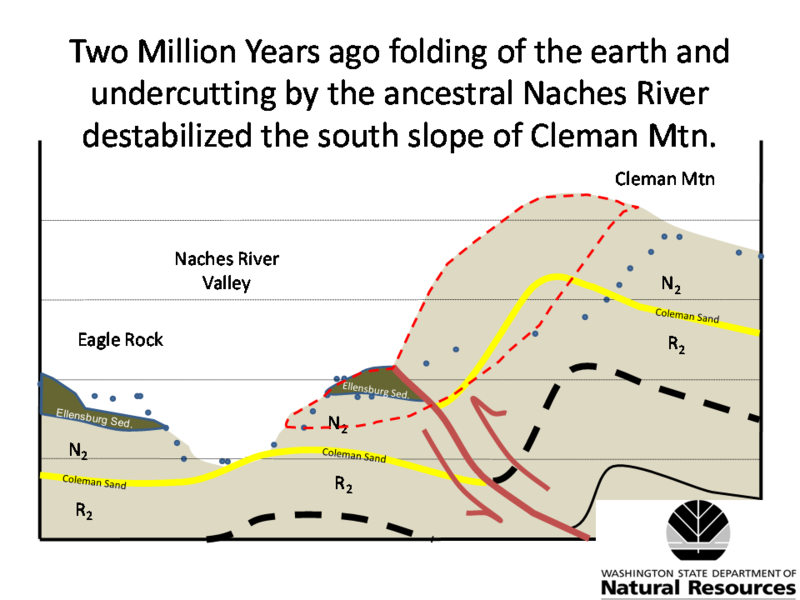 These are well known to many in Eastern Washington and even were mined early on as natural cold storage. This isn’t something I know a whole lot about, but my geologist friend Jack from Eastern Washington explained it to me. 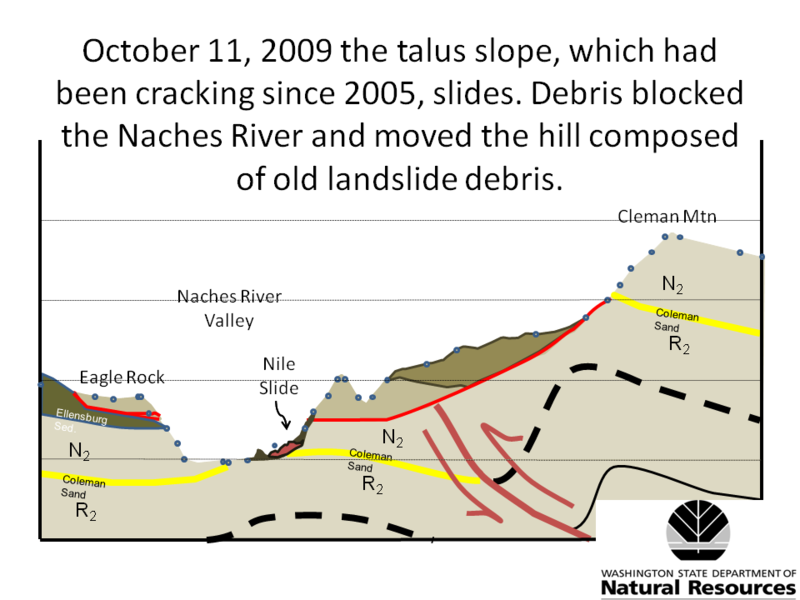 Cold air from the surface is able to permeate into the talus, forming a barrier from the hot air. 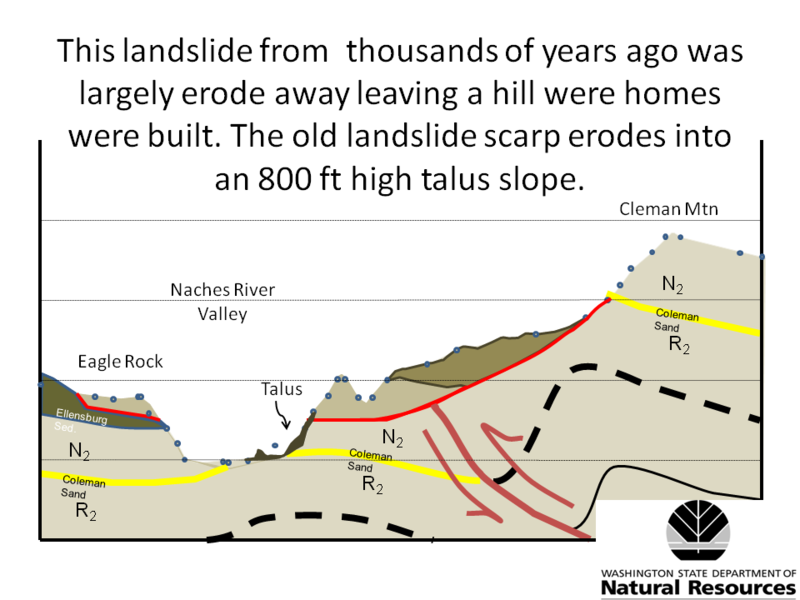 As water infiltrates down into the talus, either through precipitation, snow melt, or shallow groundwater (or other ways), the water hits that cold air and starts to freeze (as long as the air is colder than freezing). The cycle continues as cold air can continue to permeate down, keeping the ground cool and protecting it from the hot air above. 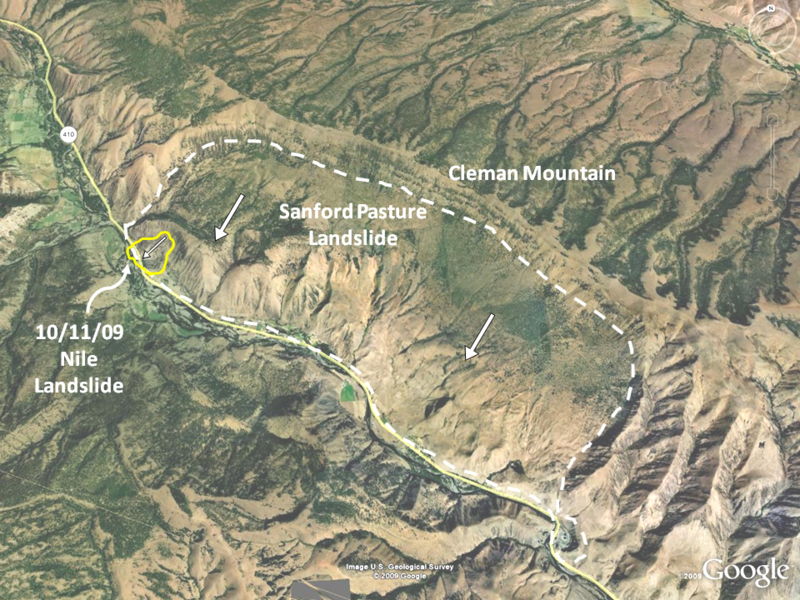 I will be heading into the field on Thursday, either with WSDOT on a helicopter flight or by vehicle. 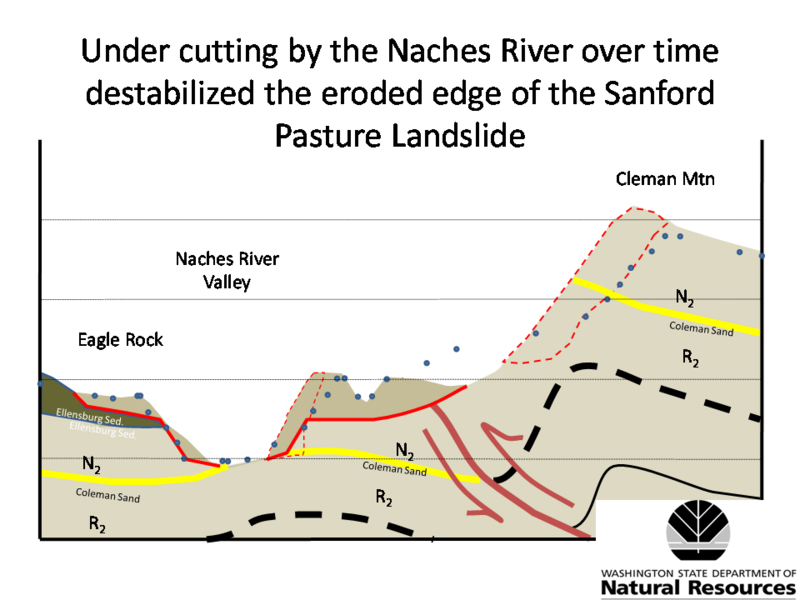 Either way I will be hiking on the west side of the Sanford Pasture Landslide, checking for stability. I’ll keep you posted. It is a strange thing to see how TV works from the production side. The interview I had was maybe 15 minutes or so, but it all boiled down to about 10 seconds of film on air. 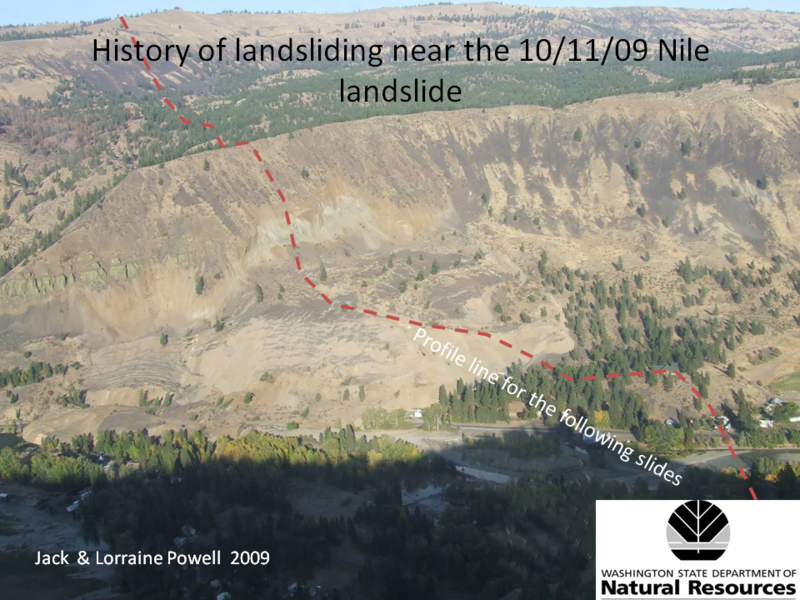 I am glad to see that this landslide is getting the attention it deserves. 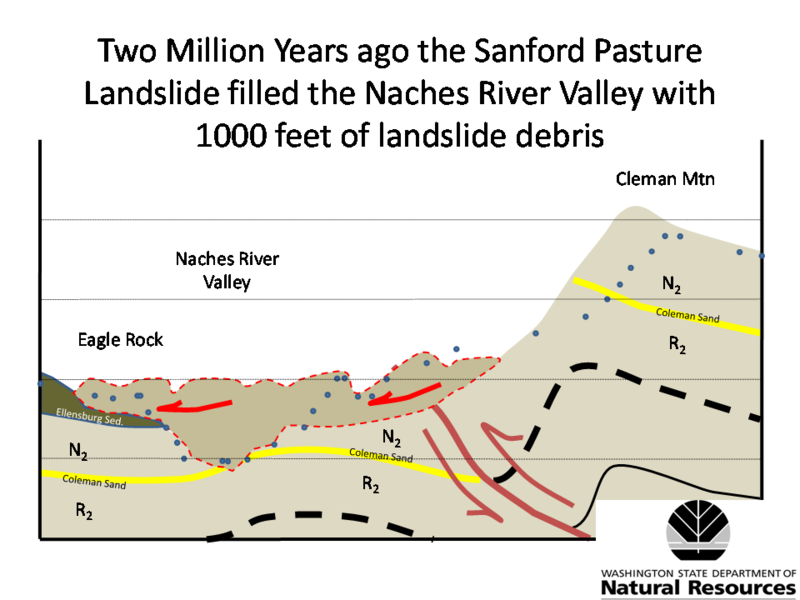 This is a major event in Washington’s history, at least, landslide history. 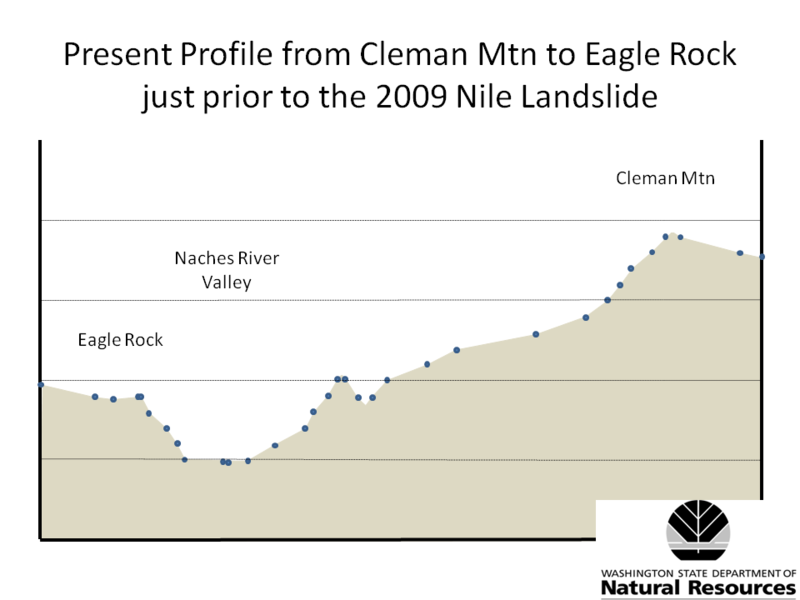 This is a generalized map of the different features present in the Nile Landslide. 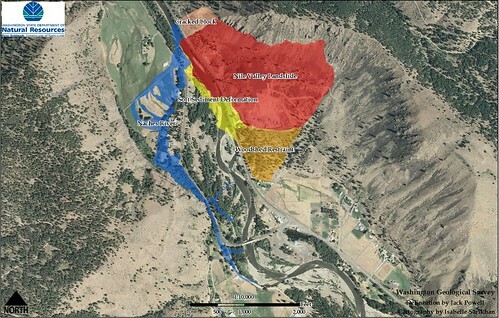 The main landslide mass is located in red and deformation at its toe is yellow. 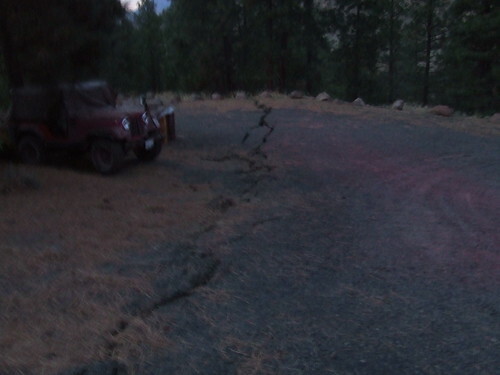 The salmon color block is an area where cracks were noticed along the hillside. 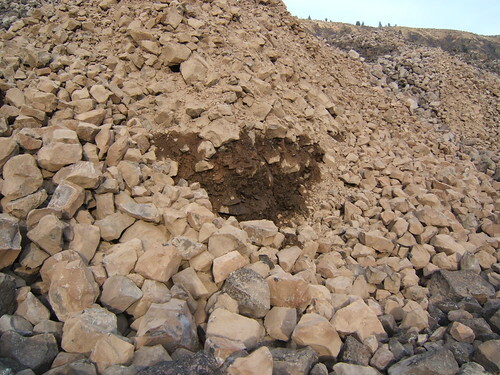 The orange is a block of material that was pushed and cracked by the Nile Valley Landslide main landslide body. 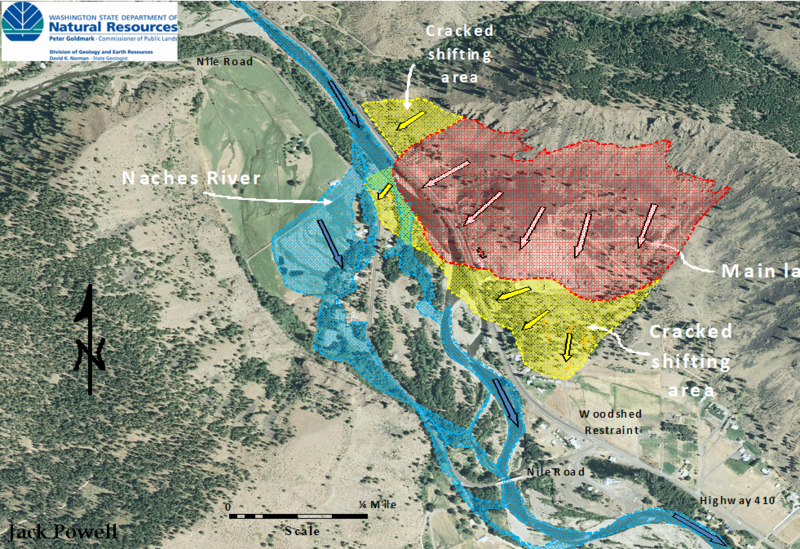 The diverted Naches River is blue in color. These offer a representation and a general boundary of the features. 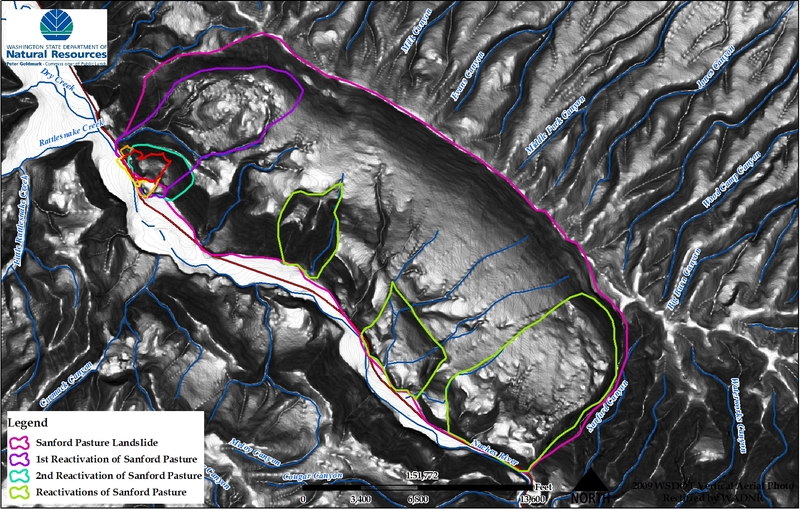 More detailed delineation will be conducted once the landslide is safe to work on.